A leaflet from Vanessa Mulhall who is running for The Green Party in Lucan for a seat on South Dublin County Council. A leaflet from Daniel Whooley who is running for the Green Party in the Ongar LEA for a seat on Fingal County Council. 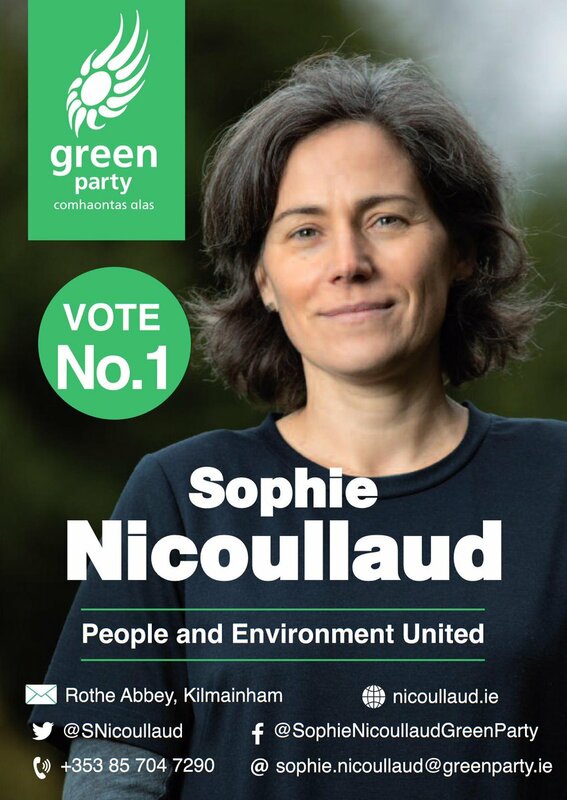 A Leaflet from Sophie Nicoullaud who is running for The Green Party in Ballyfermot-Drimnagh for a seat on Dublin City Council. 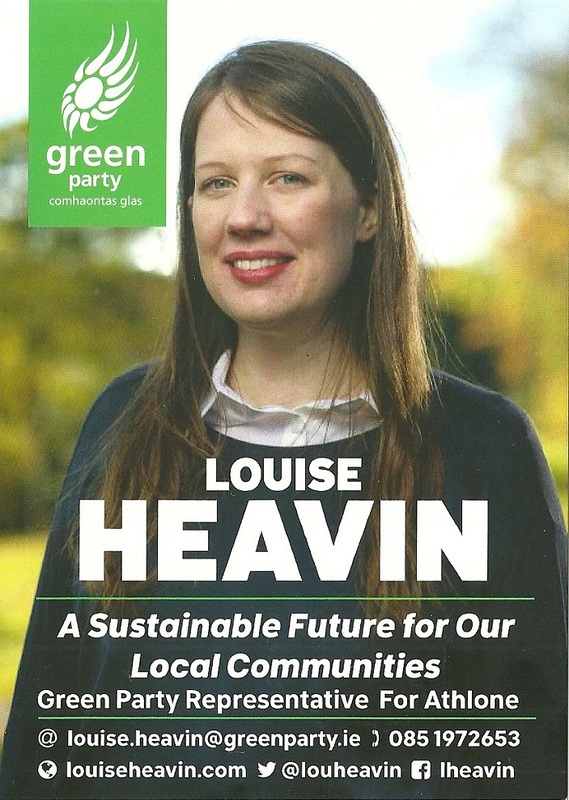 A Leaflet from Louise Heavin of The Green Party who is running in Athlone for a seat on Westmeath County Council. 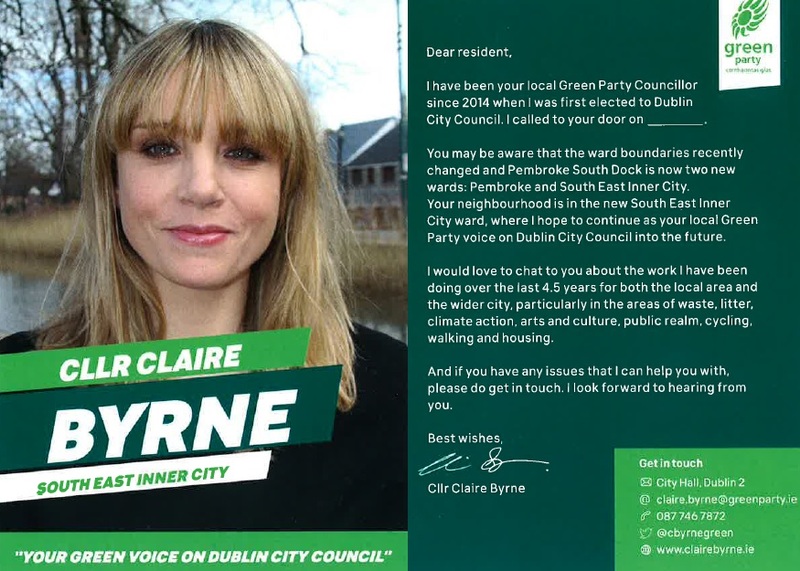 A leaflet from Michael Pidgeon who is running for the Green Party in the South West Inner City Ward for a seat on Dublin City Council. 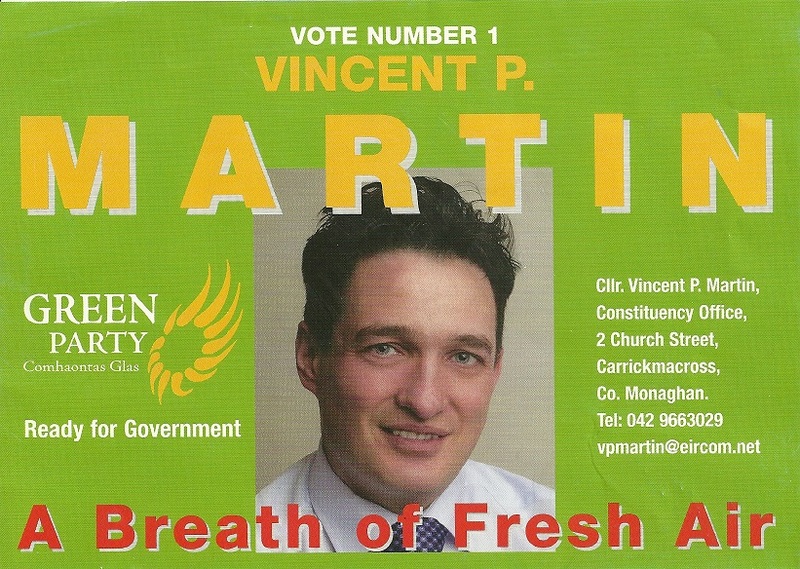 From the 2007 General Election a leaflet from Vincent P. Martin of the Green Party who was running in Cavan Monagahan. He polled 2382 votes.